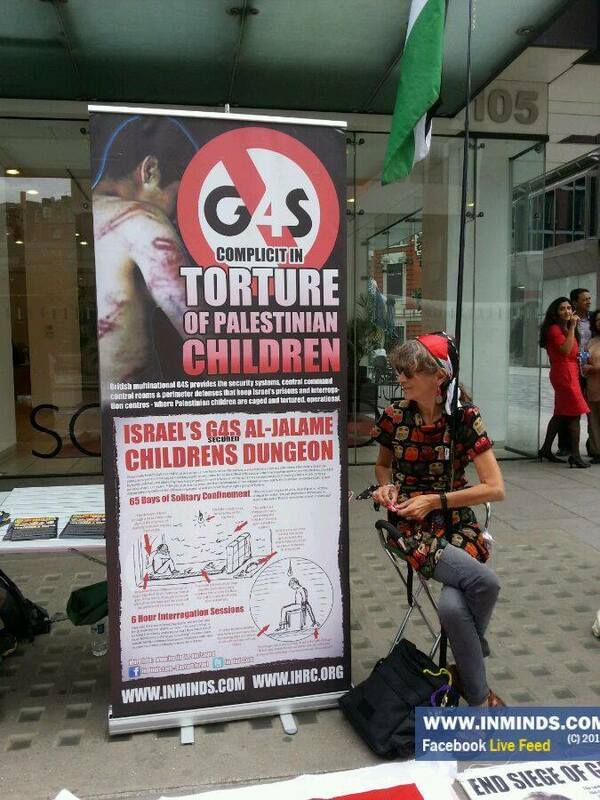 Every other Friday of the month, Inminds.com – Boycott Israel organise protests in front of G4S HQ in London (105 Victoria St, SW1E 6QT) to protest the British-Danish company’s complicity in Israel’s occupation of Palestine. 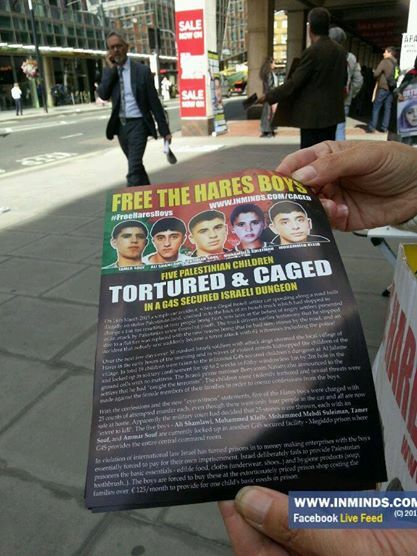 One of the campaigns is for the Hares Boys and all Palestinian child prisoners. Come along! Updates here: Inminds.com on facebook and here: Inminds.com on twitter. G4s provides equipment for Israel’s prisons and checkpoints. 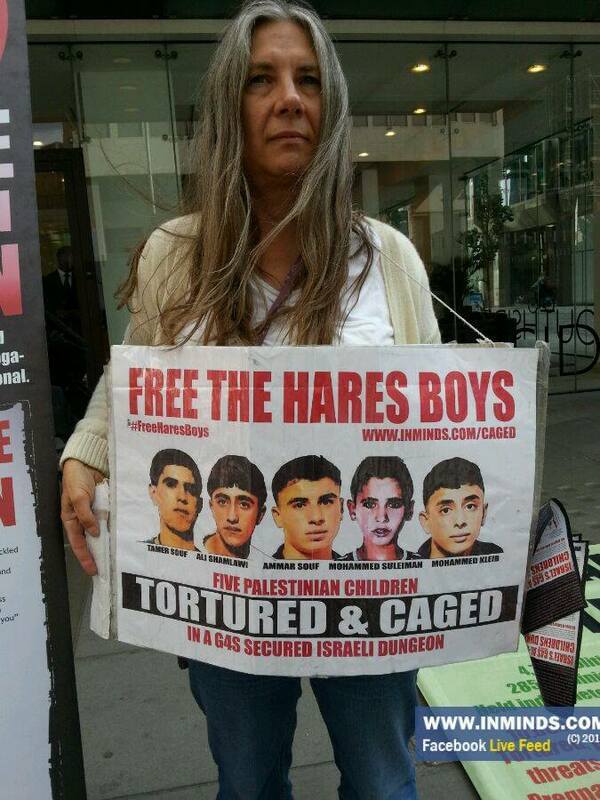 Stop G4S! Boycott G4S! Inminds.com – Boycott Israel is an Islamic group calling for the boycott of companies supporting the zionist occupation of Palestine. The new boycott campaign is against HP. 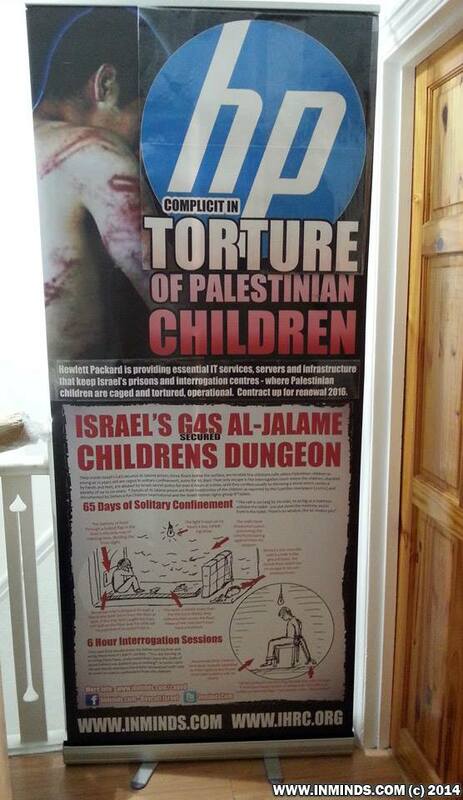 Protests will take place at HP’s London offices (88 Wood St, EC2V 7QT), on alternating Fridays.